Rubicon Cherokee Spring packs feature all the qualities that make our Extreme-Duty springs so great. These have been proven by many years of hard use and great popularity in the JeepSpeed race series. 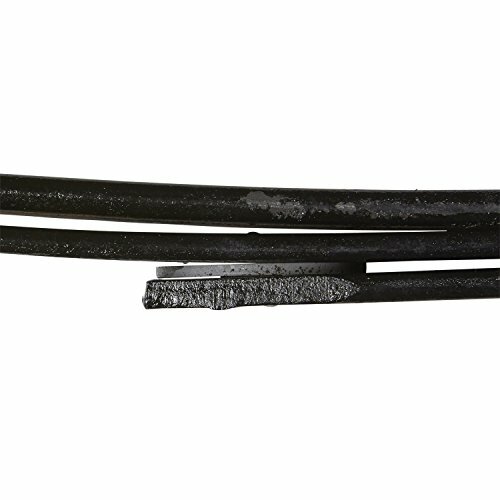 The RE1445 springs are a 6 leaf pack designed for spring-over applications. 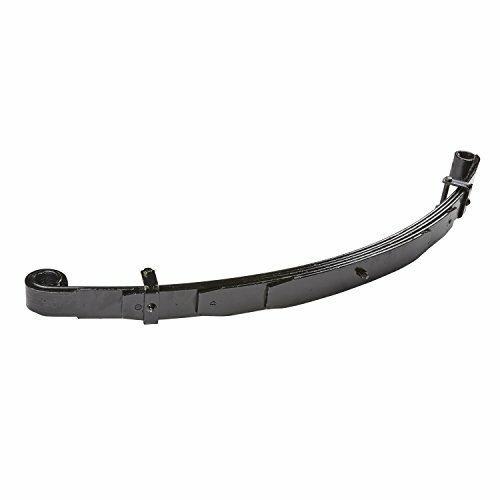 The unique reverse eye allows more positive arch than traditional style leaf springs, resulting in a better ride and longer life due to the fact the spring does not need to go into a negative arch to compress. 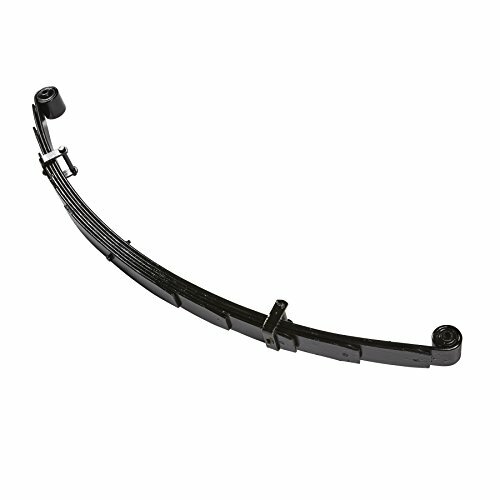 Heavy-duty design minimizes axle wrap yet allows incredible wheel travel. Overall load capacity is increased over stock. Can be used front or rear. When used in a spring-over configuration yields a 7" lift. When mounted in a stock configuration 1.5" of lift is achieved. This is absolutely the best spring we have ever used for a spring-over! 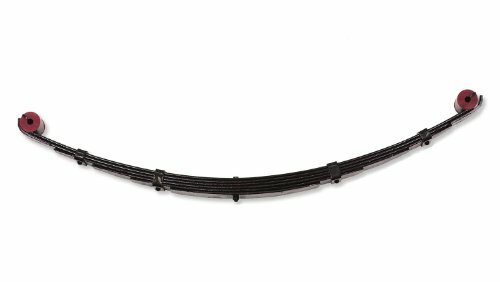 Rubicon Cherokee Spring packs feature all the qualities that make our Extreme-Duty springs so great, plus rubber bushings for less noise transmission or squeaking. These have been proven by many years of hard use and great popularity in the JeepSpeed race series. 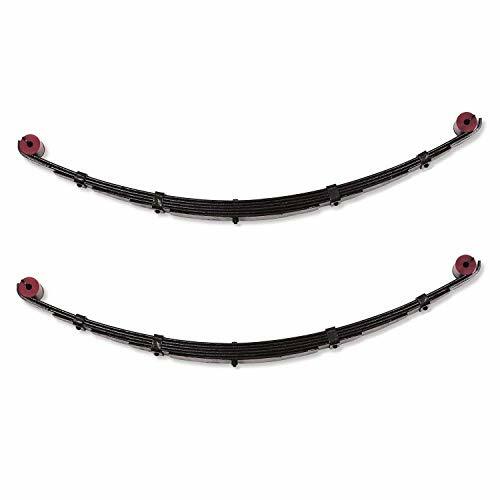 Running the 5.5" XJ leaf springs REQUIRES (RE1461) our boomerang shackle (RE2705) for more clearance. 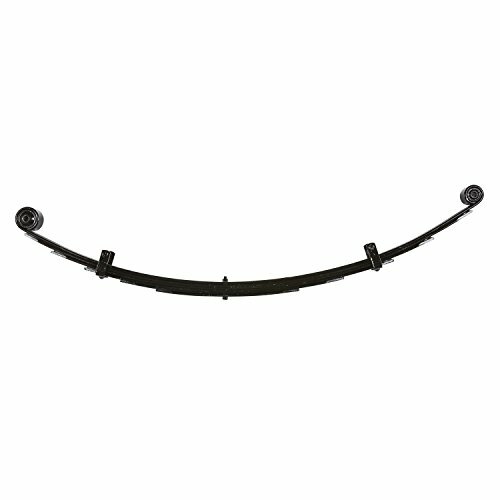 Rubicon Express Leaf Springs have been proven by many years of hard use. Sold individually.